The Ivie publishes two series of working papers that can be accessed from this page. The papers are in PDF format. 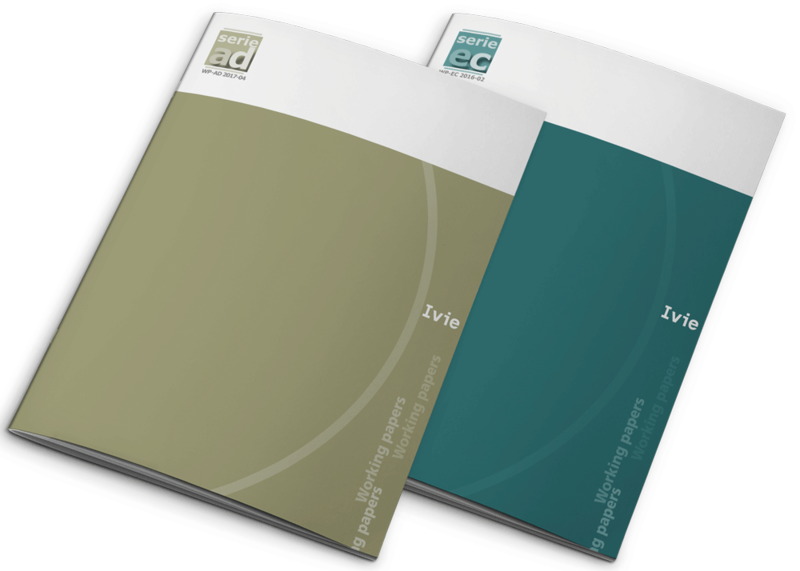 Through the publication of its two Working Paper Series, the Ivie promotes the dissemination of high quality economic research. An important feature of the papers is the peer review process they are subject to. The AD series (A Discussion) focuses on research of a theoretical nature, while the EC series includes papers of a more applied character. If you are interested in publishing your research as an Ivie working paper, please check our instructions for authors. * The editing and dissemination process of Ivie working papers is funded by the Valencian Regional Government’s Ministry for Finance and the Economic Model, through the cooperation agreement signed between both institutions to promote and consolidate the Ivie’s basic and applied economic research activities. Ponti, G., Sartarelli, M., Sikora, I. and Zhukova, V.
Goerlich, F.J. and Miñano, A.
Hernández, M.C. and Atienza, P.